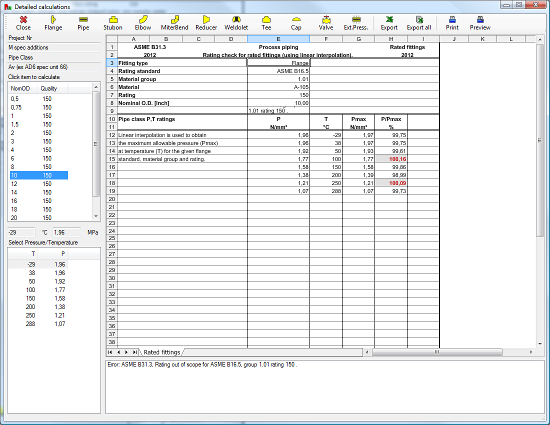 The PCC software gives the correct validation messages. The above happens if you select flanges from one standard and the design conditions from another standard. The flange standards have been changed during the years. 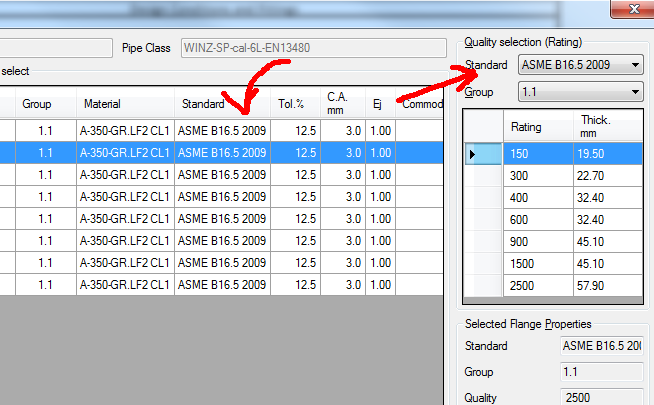 Make sure you select consistently the flange standard for the design conditions and the flanges in the pipe classes. 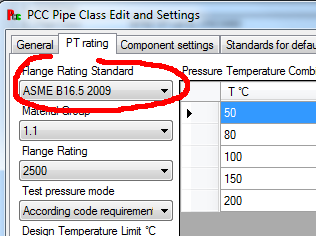 Now the verification of the flange rating (according ASME B16.5 edition 2009) is consistent with the selected flanges.